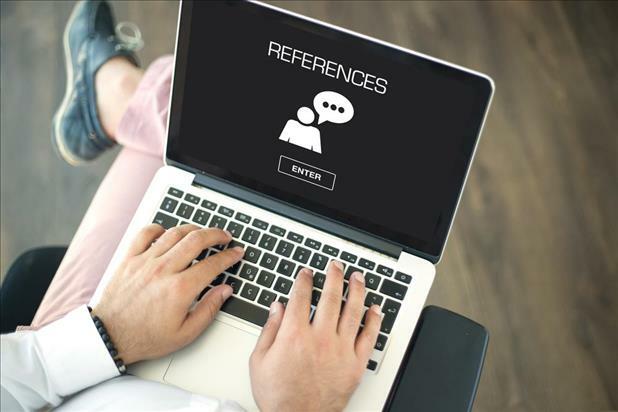 From deciding who would make a good professional reference to figuring out when to give employers your reference list, preparing job references can be tricky. This ultimate guide covers the basics to help you navigate the waters fearlessly. Professional references are the most common. Unless otherwise specified, it’s safe to assume that any employer asking for references prefers this type. Professional references are people who have worked with you previously and can verify the achievements and position titles listed in your resume. Usually, these consist of prior supervisors and managers. However, if you had little contact or a poor relationship with your past managers, you could use a coworker instead. Personal references are people who can attest to your personality and character. They are typically less important than professional references, though this may differ depending on the employer. They tend to be most useful for recent graduates/first time job seekers and particular industries. Roles requiring security clearance, for example, may ask for personal references. Your goal is to give the hiring manager a wide range of perspectives on your background. Aim to include people you’ve worked with recently who are aware of your strongest achievements or have commended you in performance reviews. And, of course, whoever you choose should have a positive opinion of you and your work ethic. For personal references, be sure to use people with enough distance from you to be somewhat objective—that means no family members! Employers are less likely to trust the review of a parent or spouse than that of neighborhood friend. Teachers and mentors are often good choices for personal references, as well as members of professional organizations and anyone you’ve done community service with. Always make sure to ask before including someone in your job reference list. Distributing someone’s contact information before getting permission is rude and may irritate them into giving a more negative review of your abilities. Plus, you want to give your references plenty of time to prepare a strong response. You can request a job reference through email or over the phone. If you haven’t been in contact recently, or you’re requesting a reference from a supervisor who handled many employees, try mentioning some specific things you did during your time at their company. This will jog their memory and give them some ideas for what to talk about if potential employers call. A reference page is actually quite simple. Don’t forget to include a title (“Reference List”) along with your name and contact information at the top of the page. This header should be consistent with your resume and cover letter, so double check that you use the same phone number and email address on both. Then, after some space, list the contact information for each of your references including name, title, email address, and phone number where they can best be reached. If you aren’t sure, ask your reference what phone number is best for them! You don’t need to list everyone you’ve ever met or done business with on your reference sheet. Keep it to 3–5 individuals who can (and are willing to) attest to your work ethic, problem solving abilities, customer service skills, etc. Also, make sure that the reference list formatting makes the document easy to read and understand. Depending on your situation, you may want to use section headers to differentiate between personal and professional references. And don’t forget to clearly separate your own information from your references’. While you should prepare your reference list ahead of time, only provide it to employers upon request. You are not expected to attach a reference page to your application or resume. In fact, it may even distract your reader from where you want their attention—on your resume. You should, however, add a reference page to your interview portfolio. It is always good to be armed with references in case the interviewer asks; it shows you are prepared and proactive in your job search. Plus, it immediately opens the door for employers to take the next step toward hiring you. There are a few circumstances in which you may choose to use different job references for different applications. For example, if you’re applying for a large volume of jobs you’ll want to avoid subjecting your references to an overwhelming deluge of employer calls and emails. Or, if applying to different types of jobs, the most appropriate references will likely depend on the role you’re applying for. In these cases, it is important to track which job references you sent to each employer. Tracking your references is simple. First, create a master list of references, including the names and contact information for every person you refer a hiring manager to. Then, in a second list, note each employer that requests a reference page along with the specific names of the references you provided. Keeping organized during your job search can be tricky, and juggling job references certainly doesn’t make it less complicated. However, with the right tools and strategies it’s easy to streamline the process and ensure you make the best possible impression on future employers. 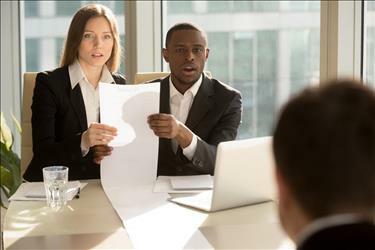 A strong job reference shows employers the great value you can bring to their organization, and could even end up landing you your dream job!